Lexus & Jaguar have tied for the top ranked brand in the 2014 What Car?/J.D. Power Customer Satisfaction Survey, an annual study of British automotive consumers. The survey looks at overall vehicle satisfaction, and is based on four key areas: vehicle appeal, vehicle quality and reliability, ownership costs and dealer service satisfaction. 15,000 vehicle owners contributed to the results, which is only open to vehicles that sell over 4,000 units in the United Kingdom. 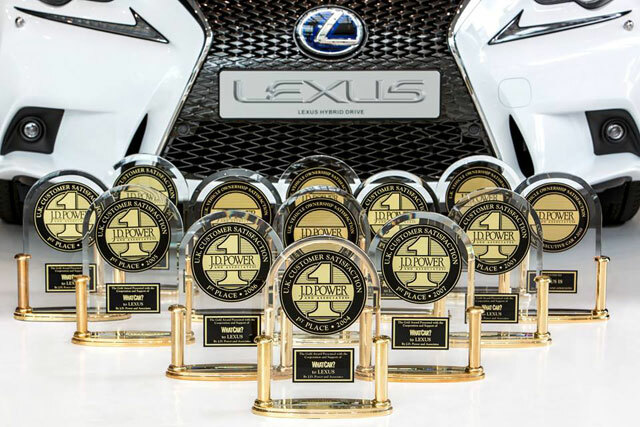 Besides the overall win, two Lexus models were recognized: the CT 200h placed second in the Best Small Family Car category and 7th overall; the RX was the highest-ranked Large SUV and placed 16th overall. Lexus has placed first in the annual study a record 12 times, only missing the top spot once since being eligible for nomination. Absolut Sabs: Serious talk, I'm not surprised by this at all! ...it's always been the relentless pursuit of perfection! leopard08: customers like the CVT box. nough said! Lexus Cohen: Keep up the great work Lexus! Jaguar?!! What?! !